Cisco - CISCO2801-V/K9 CISCO2801-V K9 Cisco Systems 2801 Voice Bundle Fast EN Router. New Factory Sealed. Cisco - C2901-VSEC/K9 C2901-VSEC K9 Cisco 2901 Voice Security Bundle - Router - Voice Fax Module - Desktop. New Factory Sealed. Cisco - CISCO2811-V/K9 CISCO2811-V K9 Cisco Systems 2811 Voice Bundle Fast EN Router. New Factory Sealed. Cisco - C2801-VSEC-CUBE/K9 C2801-VSEC-CUBE K9 Cisco 2801 VSEC Bundle Router - Modular - Voice fax Module. New Factory Sealed. Cisco - C3945-VSEC/K9 C3945-VSEC K9 Cisco Systems 3945 Voice Security Bundle Fast EN Gigabit Router. New Factory Sealed. Cisco - C2921-CME-SRST/K9 C2921-CME-SRST K9 Cisco 2921 Integrated Services Router ISR Voice Bundle With PVDM3-32F. New Factory Sealed. Cisco - C2811-VSEC-SRST/K9 C2811-VSEC-SRST K9 Cisco 2811 Voice Security Bundle Router. New Factory Sealed. Cisco - C3925E-VSEC/K9 C3925E-VSEC K9 Cisco 3925E Voice Security Bundle Router. New Factory Sealed. 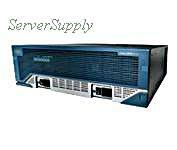 Cisco - C2951-VSEC/K9 C2951-VSEC K9 Cisco 2951 Voice Security Bundle - Router - Voice Fax Module - Desktop Rack-Mountable. New Factory Sealed. Cisco - C2821-H-VSEC/K9 C2821-H-VSEC K9 Cisco 2800 Router Voice Security Bundle 2821H.Perf.VSEC:AIM-VPN2 SSLPVDM2CCME SRSTAIS256F 512D. New Factory Sealed. Cisco - C2851-H-VSEC/K9 C2851-H-VSEC K9 Cisco 2800 Router Voice Security Bundle 2851H.Perf.VSEC:AIM-VPN2 SSLPVDM2CCME SRSTAIS256F 512D. New Factory Sealed. Cisco - C2851-35UC-VSEC/K9 C2851-35UC-VSEC K9 Cisco 2800 Router Voice Security Bundle 2851 w PVDM2-48NME-CUE35 CME CUE Ph licAdv IP128F 512D. New Factory Sealed. Cisco - C3925-VSEC/K9 CISCO - (C3925-VSEC/K9) 3925 ROUTER VOICE SECURITY BUNDLE PVDM3-64 UC & SEC LICENSE PAK. NEW FACTORY SEALED.IN STOCK.SHIP SAME DAY. 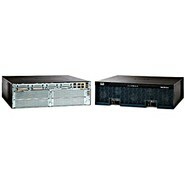 Cisco - ISR4451-X-V/K9 ISR4451-X-V K9 Cisco 4451-X Integrated Services Router Voice Security Bundle. New Factory Sealed. Cisco - ISR4451-X-VSEC/K9 ISR4451-X-VSEC K9 Cisco 4451-X Integrated Services Router Voice Security Bundle Router - Modular - Gigabit Ethernet. New Factory Sealed. 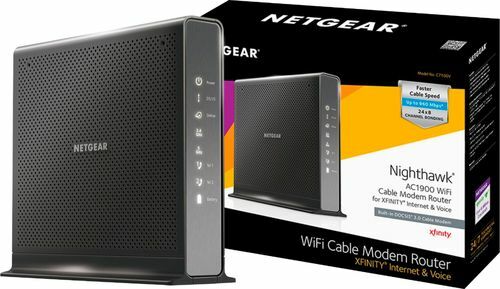 Cisco - ISR4451-X-AXV/K9 ISR4451-X-AXV K9 Cisco 4451-X Integrated Services Router - Application Experience With Voice Bundle - Router. New Factory Sealed. Cisco - C3945E-VSEC/K9 C3945E-VSEC K9 Cisco 3945E Voice Security Bundle Router - Modular - Voice fax Module - Gigabit Ethernet. New Factory Sealed.